Caesar Creek was named for a black slave captured by the Shawnee on a raid along the Ohio River. The Shawnee adopted Caesar and gave him this valley as his hunting ground. Nearly 200 years later, the US Army Corps of Engineers constructed a dam over Caesar Creek creating a 2,800-acre lake under authorities embedded in the Flood Control Act of 1938. With the completion of the dam in 1978, the dam began impounding water forming the deepest lake in Ohio and a haven for outdoor enthusiast. 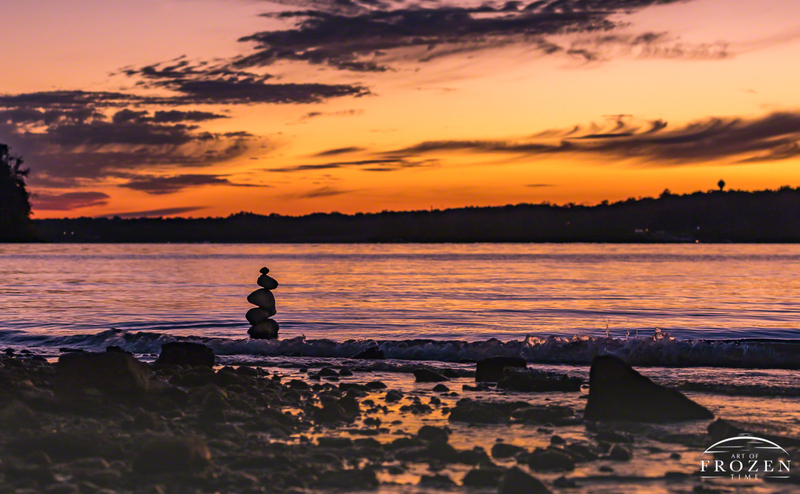 In this image, the balanced rocks made for a spiritual moment, but as to not spoil the view for subsequent visitors, I scattered the rocks back to their original location before leaving the scene.